I’m a music journalist and a keen amateur musician, so it was perhaps inevitable that when I began writing novels they would have a musical theme. Writing about music presents the unique and glorious challenge of how to convey sounds using the written word. It’s an inherently subjective activity, and even more subjective than writing about music is reading about it, since we are far more likely to choose to read about music we know and like. This is therefore a very eclectic list, since my own musical tastes veer between extreme metal and classical piano. But what these books have in common, I believe, is that they make the musical experience come alive on the page. I was an avid Smash Hits reader in the late Eighties, and I always imagined that the music journalists who worked there were living the dream. Sylvia Patterson did get to interview, and party with, the most famous popstars in the world, but she also had to struggle by in near-poverty during her periods of freelancing. 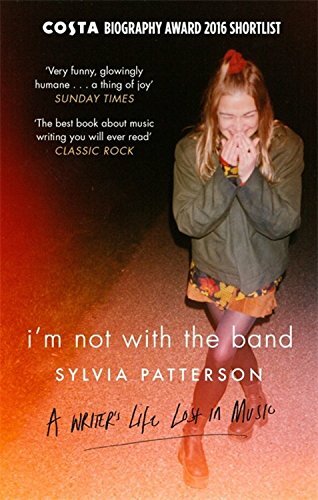 With fascinating anecdotes about everyone from Wham to Eminem, this is an engaging personal insight into both the glamour and the harsh realities of the music industry. I’m working as a freelance music journalist thirty years later, when the demise of print magazines and the proliferation of music websites mean that it’s easier to get published, but even harder to get paid. 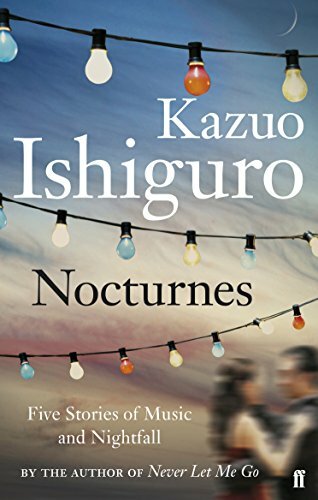 Ishiguro’s collection of short stories was conceived as a sort of musical work in five movements, but it is the final story, ‘Cellists’, which has always stayed with me. A world-famous virtuoso agrees to tutor a promising young Hungarian cellist in an Italian hotel room. However it eventually emerges that she doesn’t actually know how to play. This is the story I wish I had written - such a clever idea. Particularly because I am a virtuoso guitarist. In my mind. And that counts for a lot, right? This is my favourite book about general music appreciation. 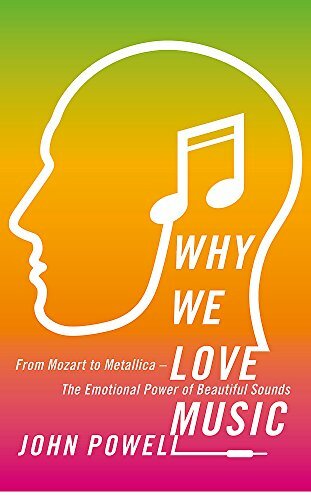 Powell is a physicist and classical musician, and he breaks down the most technical theories of musicology into a hugely enjoyable ride filled with interesting anecdotes. There are many ‘Aha, that’s why!’ moments as he explains how musical sounds affect us. This book undoubtedly changed the way I listen to music. I’ve read just about every book there is on heavy metal. Robert Walser’s was one of the first to seriously analyse the subject, blending anthropology with musicology, and it spawned a whole academic subgenre of Metal Music Studies. 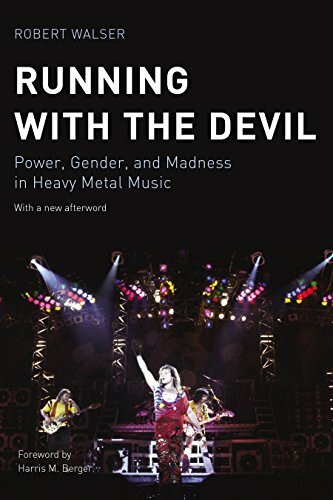 Heavy metal has moved on since 1993 when this was written, but it is still a hugely influential book. It also provides the best explanation I have found for the principles of distortion and the power chord (the two pillars of metal music). Andrew O’Neill is a comedian who for several years has been performing a metal-themed stand-up routine, out of which this book developed. The chapters are packed full of jokes, footnotes and personal anecdotes which are very very funny. But beneath the light tone lies a deep reverence for metal, and beneath that passion lies an encyclopedic knowledge and a balanced approach. 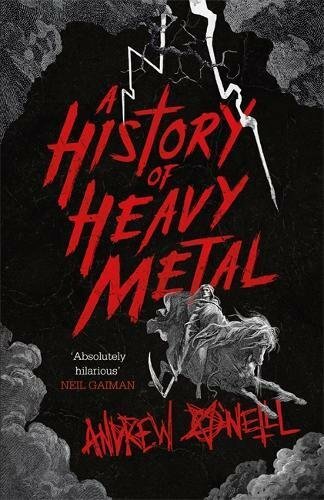 O’Neill takes us through the history of metal with remarkable clarity, and while he doesn’t shy away from metal’s controversies, there’s an overwhelming atmosphere of joy throughout. There’s no doubt that women are still a marginalized minority within heavy metal culture, but that is beginning to change. Sociologist Dr. Rosemary Lucy Hill is one of the scholars helping to overturn stereotypes. 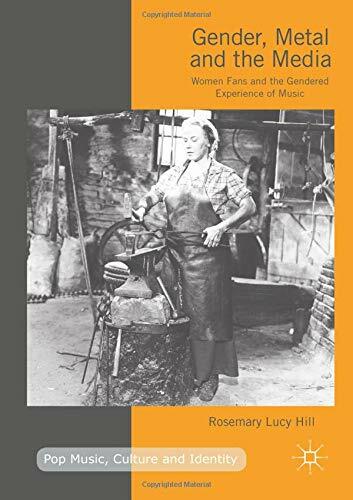 She really listened to female metal fans, and used her research to show that the musical pleasure of rock and metal is far more sophisticated than simplistic enjoyment of aggression. I loved hearing the stories of other metal women who appreciate the music for their own very different reasons. 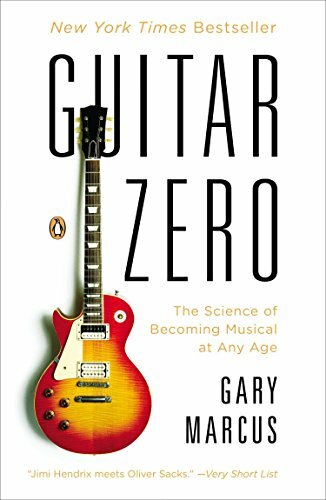 Gary Marcus is a renowned cognitive scientist who, at the age of forty, decides to learn to play the guitar. He treats the challenge as an academic one, using the neurological tools of his trade, and this journey of self-discovery becomes a study of how we learn to play musical instruments. And crucially, whether adulthood is too late (it sort of is). As an adult who is learning the electric guitar and playing in a metal band with a bunch of guys less than half my age, I am frequently accused of having a midlife crisis. And I probably am. But I’m having enormous fun and this book was a form of validation for me. 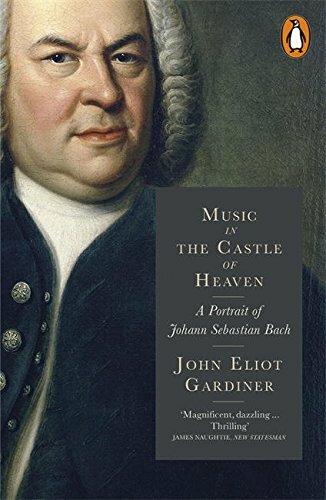 This weighty tome by conductor Sir John Eliot Gardner is a magisterial account of the life and work of Johann Sebastian Bach, arguably the founding father of Western music as we know it. Most prominent in this biography is Bach’s relationship with the church, and the calling he felt to write music that would glorify God. I have my issues with religion, but when I listen to Bach I feel very close to a profound spiritual understanding. How could sounds this beautiful have been created by a mere human? 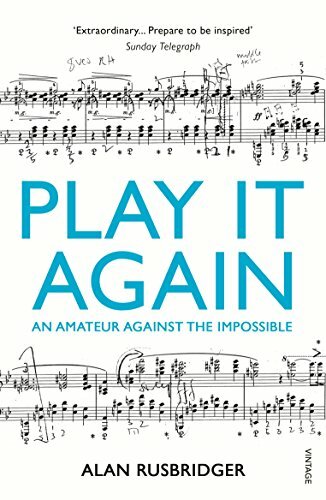 Former Guardian editor Alan Rusbridger documents the monumental challenge he set himself to learn and perform Chopin’s near-impossible first Ballade in six months. I studied classical piano and have always harboured regrets that I didn’t take it further; I’m also constantly setting myself overly-ambitious tasks. So I felt an affinity with Rusbridger, and I loved his descriptions of the London ‘salons’ where he and his friends jammed classical chamber works. Rusbridger’s challenge took place during an incredibly busy time for the Guardian newspaper (Wikileaks, the phone-hacking scandal), so he weaves into his diary a unique perspective on the political climate that year. Even if you’re less interested than me in the technicalities of Chopin’s piano passages, this is an absorbing story of someone who has absolutely no time at all but is determined to keep music a part of their life. 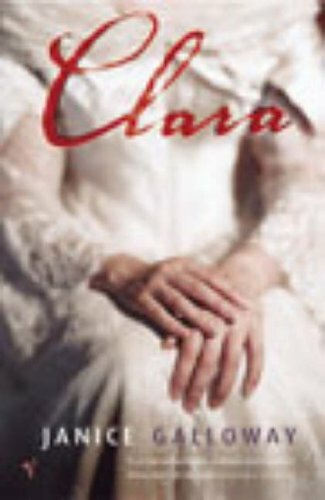 This is a fictionalized biography of Clara Schumann, one of the greatest pianists of the nineteenth century and a talented composer in her own right, but best remembered as the wife of Robert Schumann. I am something of an aficionado of nineteenth century pianists, having had teenage crushes on Chopin and Liszt (I didn’t have a boyfriend, funny that), so I set very high standards for this book, and it was a delight. Passionate, moving prose that never descends into melodrama, and the voice given to Clara is pitch-perfect. 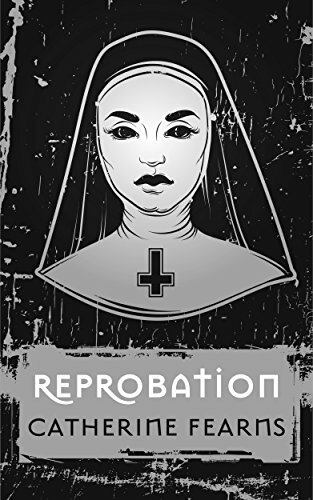 Catherine Fearns’ new book Reprobation is out 16th October.